Leading a team can be inspiring, rewarding and exhausting. 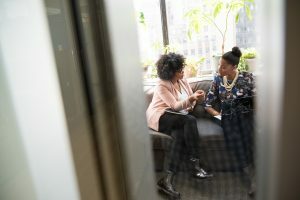 Busy working environments can leave little time for team leaders to check-in with team members and ensure they’re feeling happy, creative and on track. 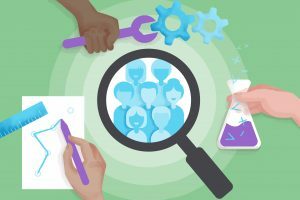 But with these 6 simple and effective team management tips, there’s an alternative. With good communication channels and plenty of opportunities to give feedback, you can provide your team with a strong support system. With this, team leaders can develop accountability, trust, and a less hierarchical approach. Transparent working environments have been found to make teams more accountable, happy and creative. It sounds like a big claim but transparent environments help to develop a feeling of mutual respect between team members and team leaders. Via open and consistent communication, transparent and authentic workplaces help employees to feel secure in their positions. In turn, team members feel freer to contribute ideas and suggestions, enhancing creativity. Marc and his team aim to make all employees feel in the loop, respected and valued. Consequently, they found that each team member felt happier in their job, while also more creative and loyal. Each task within each Project is assigned to a specific team member, making everyone’s responsibilities clear. This also enables team members to understand the role they’re playing within the bigger picture. 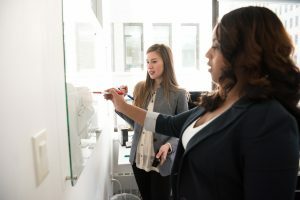 With all tasks and responsibilities displayed transparently, team leaders can take a less hands-on approach, knowing each task will be seen through by the assigned person. You must have heard this one before: the basis of a cooperative and productive team is good communication. The aim is to create an environment in which team leaders feel able to provide honest and constructive feedback, and team members feel confident to voice concerns and communicate with one another. 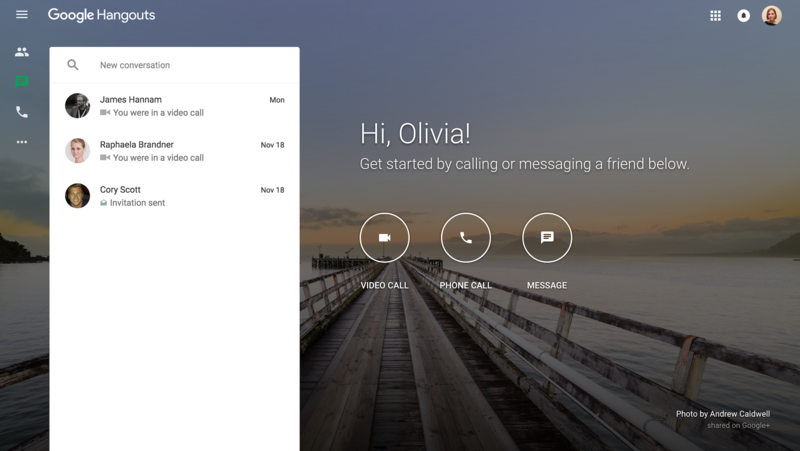 For teams with members working remotely, Google Hangouts can provide an ideal way to ensure some face-to-face time is achieved. If your distributed team is working across time zones and you’d like to set up a standing appointment for calls, it’s important to find a time which works for everyone involved. By not always holding calls at inconvenient times for the remote team member, they’ll be more open (and awake) to honestly and accurately communicate with you. 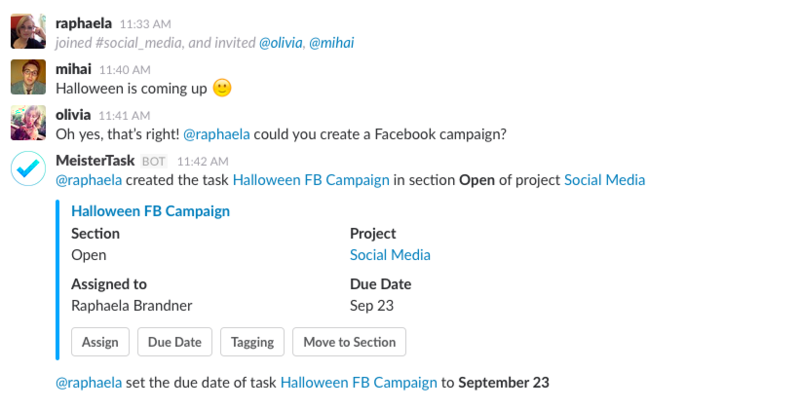 Another great communication tool is Slack. Lots of companies are already using Slack, as regardless of whether your team is working remotely or all in one office, it’s a great way to cut down on emails and build a positive and friendly working culture. At MeisterLabs we have a ‘stand up’ Slack channel, where everyone begins their day by sharing what they’ll be working on. This helps to prevent siphoning between teams and gives managers a good idea about what everyone’s focus for will be. It also allows team members to jump in and offer support when useful. Providing feedback to team members is one of the best ways you can support them to develop professionally and personally. Even if you have no negative feedback to give, make sure to hold regular opportunities to check-in. This way, you can provide advice on how you feel your team members are progressing and could grow further. If there are any areas of work that you feel could be improved, these discussions also provide a good opportunity to share your constructive feedback. 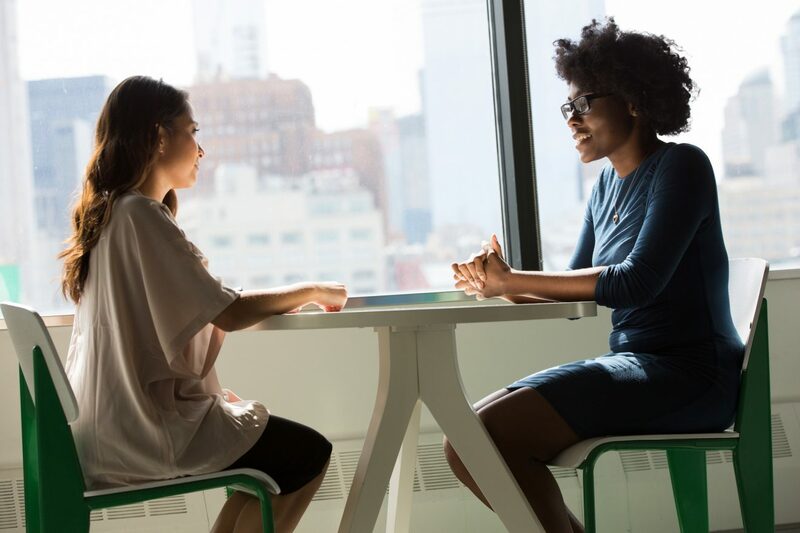 So although feedback conversations can be difficult, especially in non-hierarchical organizations, they’re important and necessary for the development of team members and the success of your wider team. Inevitably, your team members will be happier if they can get along well with one another. As an added bonus, they’ll perform better too. To achieve this, encourage your team members to collaborate. On your team, there will likely be a whole bunch of diverse skills. Make sure these different skillsets are utilized by ensuring everyone is aware of ongoing projects. That way, team members can jump in to collaborate wherever they feel they can bring value. On our marketing team, for example, I’ll often draw on support from the SEO specialist while creating the content strategy. Equally, if I know the SEO specialist is coming up with text for a PPC campaign, I’ll offer to help. A collaborative task management tool can help this process by sharing the upcoming tasks for each team member with the rest of your team. Collaboration has been found to increase creativity, so tools like Google Drive, which allow for real-time updates on shared documents as you work, are ideal. In our marketing team, we use the Google Docs upload feature within MeisterTask to share documents via the relevant task. This means that we’re always working on the most up-to-date version of the document, as other team members are able to edit it in real-time. 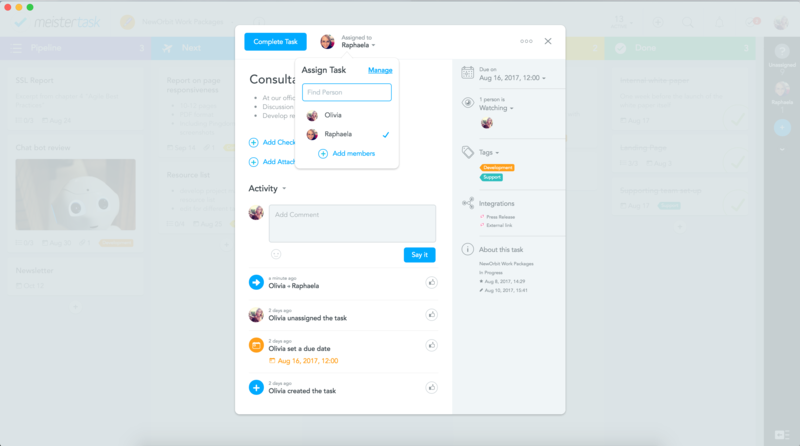 We then use the commenting feature on each task to leave relevant feedback, questions or updates on how the task is developing. For a less linear take on collaborative working, try using a collaborative online mind map. 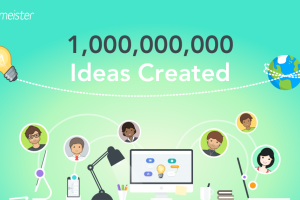 With MindMeister, multiple users are able to access mind maps at the same time, meaning team members can add their ideas, provide feedback or vote up or down on ideas. This can all be done in real-time, whether brainstorming in a meeting together, or working entirely remotely. Generating ideas collaboratively while mind mapping has been found to boost creative thinking, as it integrates both the linear, convergent (left-brain) thinking with divergent, non-linear (right-brain) thinking. This engages the whole mind in processing and creating new information, using our visual, spatial and kinesthetic senses to come up with new ideas, increasing our creativity. When I asked Michael Hollauf, MeisterLabs’ CEO, what his advice would be to other team leaders, he said it would be to always recognize when to delegate tasks. Companies hire competent staff for a reason and effective team management shouldn’t mean micro-management. If you’ve hired staff for a specialist area like programming, you need to know when to just leave them to do their job. Sometimes it can be hard to let go. Especially if you’ve been working on a project for a while but need a team member to take it over. 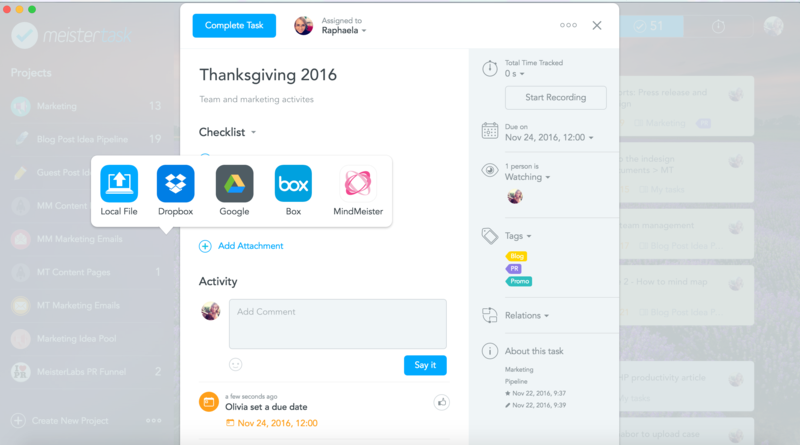 With MeisterTask, try using the Watching feature, where you can add yourself as a ‘watcher’. Becoming a ‘watcher’ allows you to remain in the loop with how the task is progressing and any related discussions. 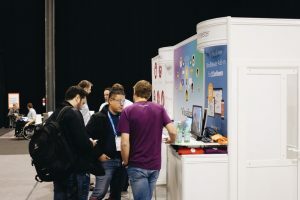 “at every stage, the experiment task is assigned to one specific person…Other team members can “watch” the task’s progression, keeping everyone in the loop with how the experiment is developing… As experiments develop we move the tasks between the sections. All team members “watching” the experiment are notified about the move. By allowing “watchers” to keep an eye on progression, the feature allows team leaders to entrust team members to get on with their tasks or projects alone while feeling able to jump in to query or help where useful. In MeisterTask, team members can gain a clear overview of team and task progression via the Statistics & Reports area. 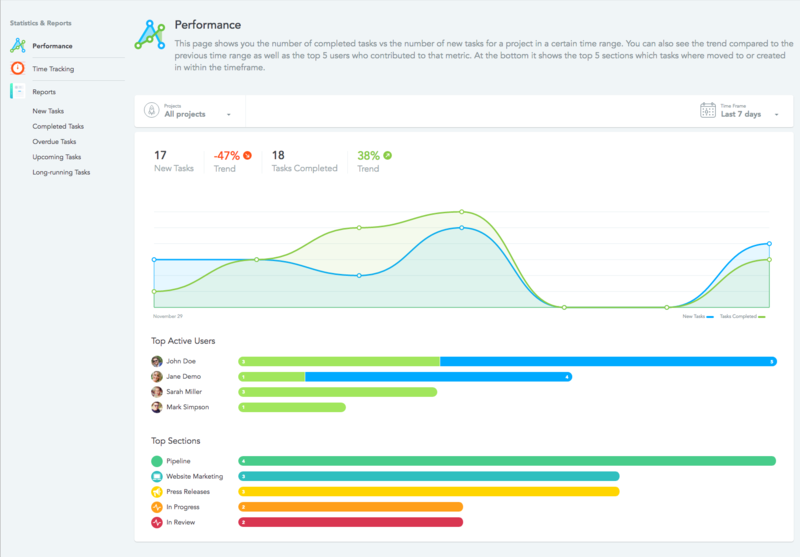 Featuring graphs on task creation and completion, team productivity can be viewed transparently and reports can be downloaded as CSV files if needed. 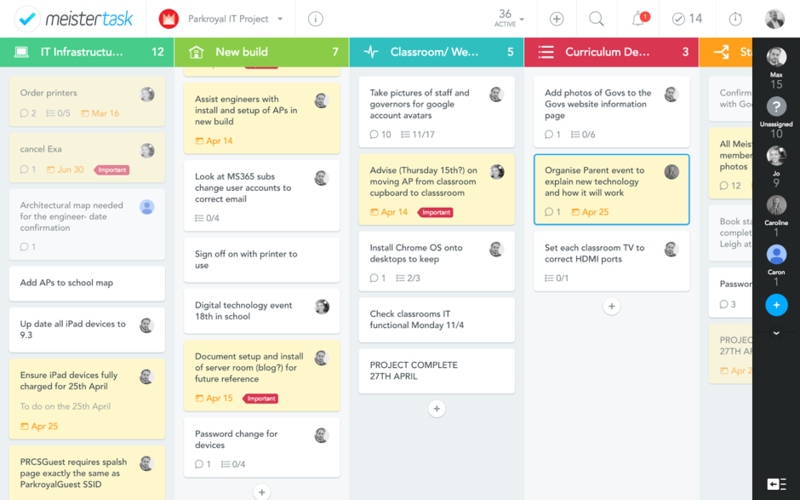 Teams can also choose to time-track their tasks to gain even further insight into how long projects are taking. As a team leader, you’re in a great position to set positive boundaries of work, play, and relaxation. In her article on managing work notifications, Belle Beth Cooper argues that it is the responsibility of employers to set the precedent about when and where team members should be switching off from work entirely. This could mean, for example, by not expecting team members to check emails after working hours. Of course, this can be difficult. Particularly in teams where members work flexibly and might prefer to start early or work late, to save time elsewhere. However, encouraging team members to set themselves some working limits, to sleep well and avoid burn-out, is important. 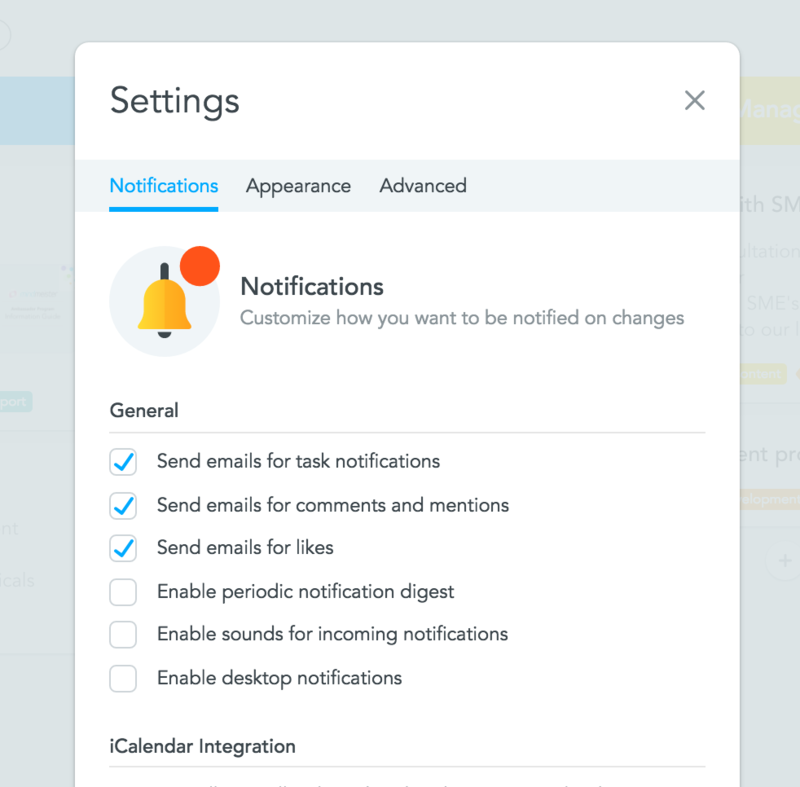 With MeisterTask and Slack, our main communication channels at MeisterLabs, you can choose which notifications to receive. For example, I’ll only receive a push Slack notification on my laptop if I’ve been mentioned or been sent a direct message. Similarly, as Belle Beth Cooper suggests, team members can try setting their phones to do not disturb mode when finishing for the night, so they’re able to switch off, relax and rejuvenate. 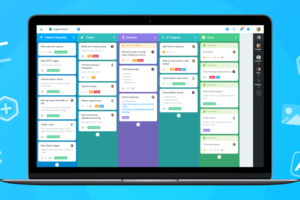 Agile project management, made simple. So those are our 6 tips for mastering effective team management through some productive and supportive workflows. However, every organization is different, so it would be great to hear your thoughts and experiences in the comments below!